The local family firm you can trust. We at Armstrong Laundry and Dry Cleaners understand you lead busy lives which is why we have endeavoured to make things easier for you. Through our network of local cleaning agents you can drop off your laundry & cleaning, we pick it up and return to you. It couldn’t be easier. We are proud of our North West connections and of the service we have been delivering to our customers big and small for well over 100 years. 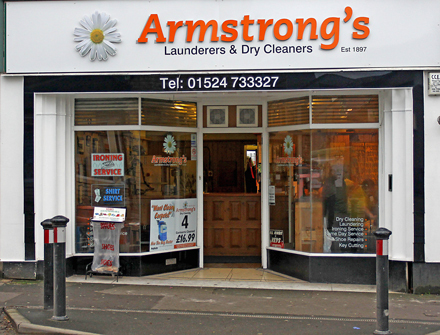 During that time Armstrong Laundry has built up an enviable reputation for service and trust so you can rest assured that we will look after you and your laundry. Please follow the links for more information and remember no job is too big or too small.